Governor of Sokoto State, Aminu Tambuwal has responded to comments by Kaduna State governor, Nasir El-rufai that the mammoth crowd witnessed by the Peoples Democratic Party, PDP during its presidential campaign in the northwest, was ‘imported’ from neighbouring country, Niger. PoliticsNGR gathered that in a statement to newsmen on Thursday, signed by Akibu Dalhatu, Special adviser to Tambuwal on Mobilization and enlightenment, the governor described El-rufai as ‘Cold-hearted’. For the purpose of setting the record straight, el-Rufai should not forget so soon that his hands were deeply involved in messing up of the present administration as a result of his bad governance and policies as a governor of Kaduna state, through mass sacking of innocent primary school teachers, unnecessary demolition of peoples landed properties, disregards and disrespect for traditional rulers, Northern elders, leaders and other respected institutions, escalation of insecurity, refusal to obey the court orders and rule of (law). El-Rufai is cold-hearted. It was the same Northwest people that he and his party begged for support in 2015. But because of the failure of APC government, incessant hunger and poverty all over the region that have made them to decamp to PDP, he is now calling them foreigners. What scared el-Rufai and his co-travellers was the success recorded at the Sokoto PDP campaign rally. The Sokoto gathering, no doubt, instilled fear in the minds of el-Rufai and his cohorts so much that in their wildest imaginations, their party – the APC – will find it impossible to record a replica of such mammoth crowd in any state of the Northwest including El-Rufai own state of Kaduna. We, therefore, challenge el-Rufai and APC to do same if at all they can in any of the state in Northwest. With Governor Aminu Waziri Tambuwal at the helm of affairs as Governor of Sokoto state and campaign coordinator of PDP in Northwest, El-Rufai will receive the shock of his life in Kaduna state and entire Northwest during the forthcoming general election. 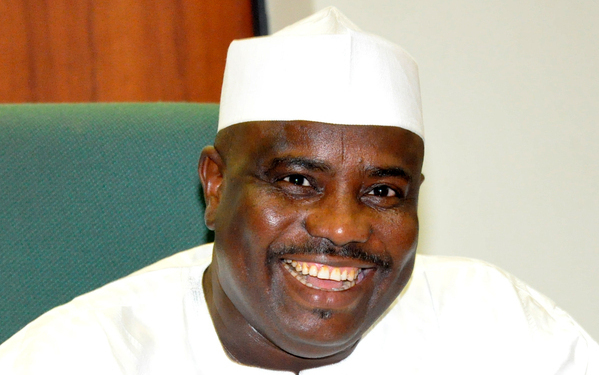 Tambuwal as a master political strategist who came second during the Presidential primaries of PDP will defeat APC hands down and deliver the entire Northwest to PDP because of massive support, love and loyalty of the people of the Northwest to him.